This is a repost from last year, but since they are still the best parents I'm posting it again! On Saturday my parents celebrate their 39th wedding anniversary. They were married in Kansas City, Missouri at the home of the parents of my dad's best friend, Joel. 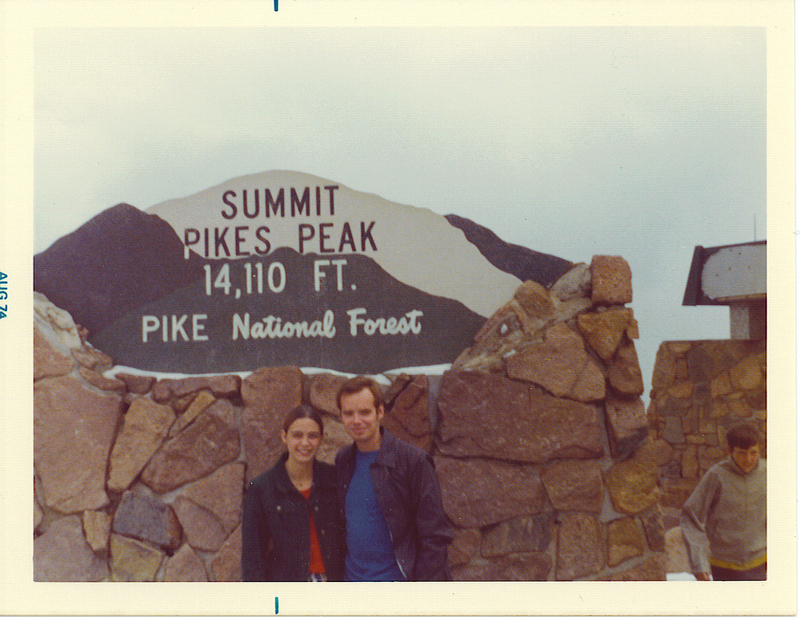 It was a small wedding and then they took a trip to Colorado for their honeymoon. 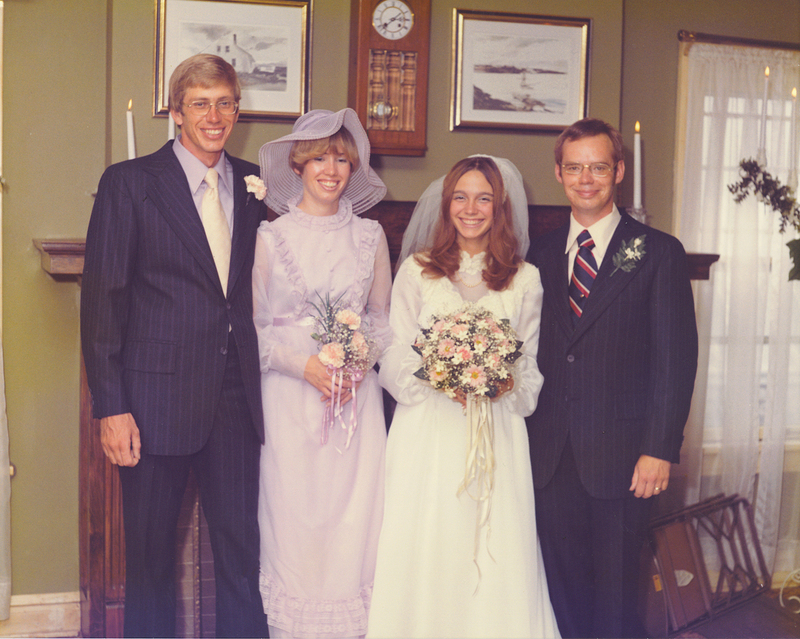 My parents got married during the time when bachelor parties were held the night before the wedding. My father, not one to ever shirk a good party, had a swinging bachelor party. Only problem was that somehow his glasses were broken amid the fun. (It will be long debated how this actually happened.) 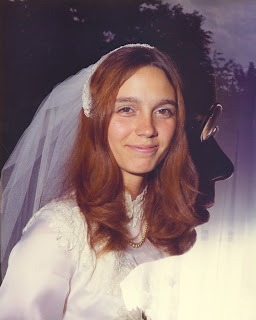 Luckily, my dad had a friend that wore a similar prescription and he borrowed those glasses for his wedding day. His glasses are crooked in all the wedding photos and I wonder how well he could see. No wonder that he had a headache with the wrong prescription glasses and a few beers too many! 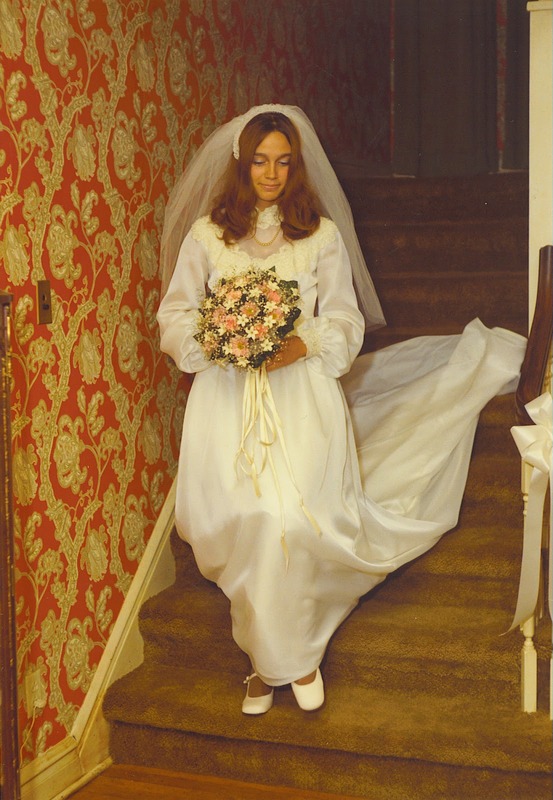 My mother, knowing the bachelor party was the night before, refused to put her wedding dress on until she saw my dad pull up outside! On a fun note, my husband and I also spent our honeymoon driving up Pike's Peak. Happy anniversary to the best parents ever! Congratulations to your parents. My husband and I will be married 42 years and we could be a carbon copy of your parents. The style of the dress, the veil and the hair style are very similar. I suppose in 50 more years that will be a trademark of weddings of the 70's. Thank you Kathryn and Claudia, I'll pass on the good wishes!